How We Test Baby Monitors - Which? We find the best baby monitors by testing signal strength, battery life, sound/picture quality, set-up speed, security and any added extras. 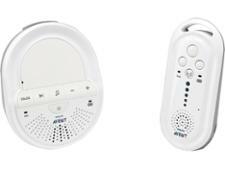 Looking for a Best Buy baby monitor? Watch our video, above, to see the rigorous tests each baby monitor we review goes through. Baby monitor manufacturers make bold claims about range and battery life. Our extensive independent testing reveals the models with the longest battery life and the best signal, and weeds out the baby monitors where the sound quality is so poor or the picture so fuzzy you won't be able to tell if your baby needs you or not. If you're worried about stories you've read about wi-fi baby monitors being hacked, you'll be relieved to hear that we test this type of monitor for security as well. Which baby monitor has the best signal range? Will the batteries last between my baby going to bed and us going to bed? Is the baby monitor secure from hacking? Will I be able to see my baby properly on the video monitor screen? 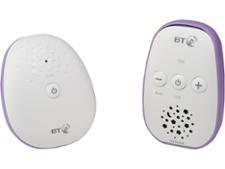 From Motorola to BT, find out which baby monitors are the best to buy in our baby monitor reviews. No matter where you live, you want a baby monitor you can rely on. We check for signal, picture and sound in these three ways. From room to room We test monitors by setting up the baby unit in one room with a simulated crying baby (you'll be pleased to know we don't make a real baby cry for our testing). Our experts make note of the quality of signal, picture and sound as they move away from the baby unit through three rooms, recording when the signal, picture and sound starts to deteriorate and when it's lost altogether. Indoors to outdoors We take the parent-unit part of the monitor outside and walk as far as possible until the quality of reception and range declines, or is lost – useful if you have a large garden and plan to be out there while your baby takes a nap. Best baby monitors – find out which models pass our safety and durability tests and have the best signal strength. security of any cameras and videos or images. Will the batteries last long enough? The last thing you want is your baby monitor running out of battery when you're in the middle of using it, and you won't want to be annoyed by the constant beep of the battery warning in the middle of the night. Despite what the packaging might promise, our tests often reveal that some battery-life claims are different from real-life use. Battery life is tested using Best Buy batteries. We'll tell you how long they’ll last before they need changing. Rechargeable batteries If the monitor uses rechargeable batteries, they are fully charged in accordance with manufacturer recommendations, and our experts then work out how long they last before they need recharging. We think a decent battery pack should last the whole evening, from baby's bedtime until you go to bed yourself – so the best baby monitors won't need to recharge their batteries until you're recharging yours. Are the sound and picture good quality? Quality of sound We assess how clear and distinct the sound is, checking for any crackles, fuzziness or interference from other devices. Sound-sensitive lights These lights illuminate when your baby is crying. They are useful when you want to switch off the sound or images for a short time – if you're on an important phone call for example. Our experts check that the sound-sensitive lights are accurate and increase in line with the volume output, so that you can tell the difference between sustained crying and a momentary whimper. Video quality Our lab experts scrutinise the video pictures to weed out the models that are blurred or unclear. Our lab experts don't stop at testing the main features, our investigations also check how easy each baby monitor will be to use in your day to day life. Easy or hard to set up We rate which baby monitors are simple to use straight from the box, including how easy the instructions are to understand and those that take time to get working. Stability The last thing you want is your baby monitor toppling off a kitchen work surface as you're preparing dinner while listening out. We test how stable any docking stations are. Accurate temperature thermometer Parents have raised concerns with us about the inaccuracy of the room-temperature sensors that many baby monitors have as an extra feature. We record the temperature that each baby monitor reads, alongside a calibrated thermometer. If there's a large discrepancy, we let you know in the review. Added extras Our reviews document the range of helpful extra features found on each baby monitor, such as out-of-range alarms, intercom option, lullabies, paging (to help find a lost parental unit), lights that can be turned on or off remotely, or more practical aspects, such as a belt clip. Baby monitors reviews – find out which ones are the best. We analyse the data from our expert assessments and tests to give each baby monitor a total test score, so you can easily see the best and worst and compare different models. To become a Which? Best Buy, an audio baby monitor must score at least 82% overall in our tests, and a video monitor must score at least 75%. Head straight to our best baby monitors to take a look at the Best Buys.